Recent evidence regarding China’s involvement in Pakistan’s nuclear program should provoke international scrutiny. 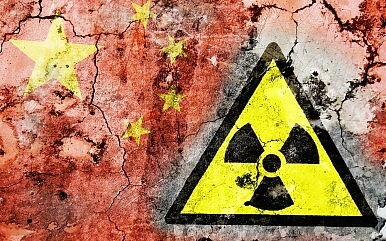 China’s confirmation that it is involved in at least six nuclear power projects in Pakistan underscores long-standing concerns over both the manner in which both China and Pakistan have gone about engaging in nuclear commerce and the lack of transparency around China-Pakistan nuclear cooperation in general. The guidelines of the Nuclear Suppliers Group (NSG), a 48-nation body that regulates the export of civilian nuclear technology, prohibit the export of such technology to states, like Pakistan, that have not adopted full-scope International Atomic Energy Agency (IAEA) safeguards. Yet over the last decade, China has accelerated nuclear commerce with Pakistan while contending that its actions are in compliance with NSG guidelines, an argument that is not entirely convincing. Today, China is not only a violator of global nuclear non-proliferation norms, but also presents the most convincing evidence of the non-proliferation regime’s ineffectiveness. The pattern of its behavior on the nuclear front as it relates to Pakistan goes well beyond the scope of what may be construed as the state’s legitimate ambition to be a leader in the supply of civilian nuclear technology. Some writers blame the 2005 U.S.-India nuclear agreement as having been a catalyst to China-Pakistan nuclear cooperation. But this is a false proposition, since China’s nuclear relationship with Pakistan, both military and civilian, precedes the U.S.-India nuclear deal by decades. Moreover, while the U.S.-India agreement was aimed at bringing India into the mainstream of nuclear commerce and global nonproliferation efforts, the China-Pakistan relationship is designed to operate effectively outside of the mainstream. Pakistan’s own interest in nuclear technology dates back to the 1960s. In March 1965, Pakistan’s then-Foreign Minister Zulfiqar Ali Bhutto declared in an interview with the Manchester Guardian that if India were to produce a nuclear weapon, Pakistan “should have to eat grass and get one, or build one of our own.” A few months prior to India’s “Smiling Buddha” nuclear test in 1974, Bhutto met with top Pakistani scientists to begin work on a Pakistani nuclear device, codenamed Project 706. Bhutto enlisted the services of the now-infamous AQ Khan, who stole blueprints for centrifuge technology and contact information of vendors that sold centrifuge components from his employer, a research laboratory in the Netherlands. Back in Pakistan, AQ Khan began work on the development of Pakistan’s indigenous uranium enrichment capability at a gas centrifuge facility in Kahuta, near Rawalpindi. The first signs of Sino-Pakistani nuclear cooperation emerged in 1977. U.S. government officials noted China’s commitment to Pakistan to provide “fuel services” and that Chinese technicians visited at Karachi Nuclear Power Plant (KANUPP) to familiarize themselves with the operation of the reactor. By 1978, Khan was able to produce small quantities of enriched reactor-grade uranium at Kahuta. The U.S. Atomic Energy Act (1954) requires termination of U.S. nuclear exports if countries are determined by the president to be assisting non-nuclear weapons states in acquiring nuclear weapons capabilities. Although successive U.S. administrations were aware of Pakistan and China’s clandestine nuclear cooperation, they did not sufficiently press either China or Pakistan nor threaten to terminate nuclear commerce with China. China, for its part, continued to stringently deny any role in providing assistance to the Pakistani nuclear program. At a state dinner in Washington, D.C., Premier Zhao Ziyang declared, “We do not advocate or encourage nuclear proliferation. We do not engage in nuclear proliferation ourselves, nor do we help other countries develop nuclear weapons.” But by 1985, Pakistan’s Kahuta facility, as a result of technical assistance from China, had successfully been able to produce the quantities of highly-enriched uranium needed to build a nuclear bomb. For the first time since discovering Pakistan’s nuclear ambitions and China’s illegal assistance, the U.S. government refused to certify that Pakistan had not assembled a nuclear device in 1990, which resulted in the suspension of U.S. military and economic aid to Pakistan per the Pressler Amendment. U.S. pressure, however, did little to constrain Chinese assistance to Pakistan’s nuclear program, even as China moved toward becoming a signatory to the Nuclear Non-proliferation Treaty (NPT). In January 1992, barely two months before it acceded to the NPT, China announced the construction of a nuclear power plant in Pakistan. Concerns that Chinese safeguards were not tough enough to prevent a diversion of nuclear resources to Pakistan’s nuclear weapons program resulted in the U.S. issuing a demarche to China. China’s appetite for proliferation remained undiminished even after it acceded to the NPT. In 1995, it allegedly sold Pakistan 5,000 ring magnets needed for high-speed gas centrifuges, while a U.S. intelligence report in 1997 held that “China was the single most important supplier of equipment and technology for weapons of mass destruction” in the world. China’s civil nuclear trade commitments with Pakistan have gained considerable momentum since Pakistan’s nuclear tests in May 1998. The China-Pakistan Power Plant Corporation’s Chashma-1 and Chashma-2 power reactors, which were under item-specific IAEA safeguards, were held not to be in violation of NSG guidelines as they were pre-existing commitments and thus “grandfathered” in at the time of China’s induction into the NSG in 2004. However, China then entered into agreements in 2009 for the construction of two new 340 MW power plants (Chashma-3 and Chashma-4). There have since been reports of undertakings for the construction of additional plants in Chashma and Karachi. Some in Pakistan have argued that these commitments date back to a 1986 agreement with China on cooperation in construction and operation of nuclear reactors for an initial period of 30 years, and thus not in violation of NSG guidelines. This spurious argument, if accepted, implies that China can continue to commit to any number of additional nuclear projects in Pakistan without any repercussions. It is another matter that the actual text of the so-called 1986 agreement remains unreleased and shrouded in mystery, thereby preventing the international community from validating Chinese and Pakistani representations. China has demonstrated remarkable consistency over four decades in acting in ways that undermine with impunity the global non-proliferation regime. Its nuclear deals with Pakistan – both military and civilian – were conceived and executed in secrecy. The recent news articles now confirm that China remains committed to a long-term nuclear relationship with Pakistan under its own terms. This is a pattern of behavior that is unlikely to change without the application of sustained international pressure to bring China into compliance with the commitments it has undertaken. Afghanistan’s ‘China Card’ Approach to Pakistan, Part 1: 1991-2014Will China’s Plans for Gwadar Destroy Fishermen’s Livelihood?From Wuhan to Pulwama: What Remains the Same Between India and China Over Jaish-e-MohammedAfter Khan's Visit, Pakistan Doubles Down on China DependenceGwadar: Emerging Port City or Chinese Colony?